Much ado about the departure of lead guitarist Anders Björler, who steered the At the Gates songwriting ship, but whose rather pronounced distaste for touring led to his 2017 exit. It’s a good storyline to have for the band’s second post-reformation album, To Drink from the Night Itself, probably because this is the toughest album to make. Now past the reunion hoopla and excitement where upon the Swedes delivered a hearty, somewhat dark album with At War with Reality, At the Gates have effectively clung to their eternal melodic death metal vision, barely straying from the course, but thoroughly in-line, as they should be. New lead guitarist Jonas Stålhammar is around, but he’s nowhere near the force he’s capable of being, a fact attributed to how late he joined in the songwriting process. 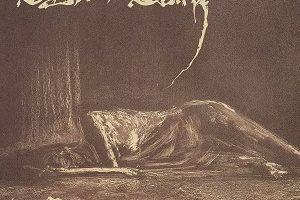 Instead, To Drink from the Night Itself relies on a spate of winding, almost punctuated tremolo riffs, they type At the Gates used to great effect on With Fear I Kiss the Burning Darkness, but subsequently shifted away from for Terminal Spirit Disease and Slaughter of the Soul. The opening title track is about as good as it gets from a veteran melodic death metal band, working in a twisting, turning lead melodic riff and some perfunctory crunch. 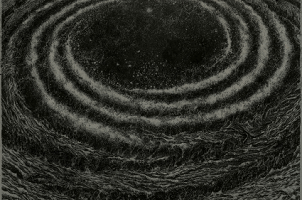 The album’s biggest swoops come via the whirling “A Stare Bound in Stone” and “Daggers of Black Haze,” the latter showing the first sign of Stålhammar, but also some dark acoustic guitar work. 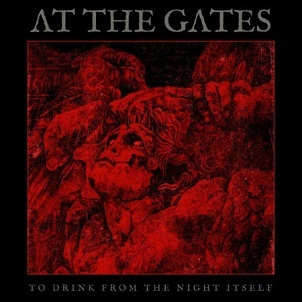 And while the somewhat traditional flair of “In Nameless Sleep” and “A Labyrinth of Tombs” find At the Gates essentially battling with itself on whether to forego their Gothenburg roots altogether, To Drink from the Night Itself emerges as a relatively deep listen, meaning, At the Gates have learned a lot from the masters…which would be themselves.